Two very special people's 70th birthday celebrations that's what! In just a few days Grandma & Grandad will be winging their way home to England. It hardly seems possible they have been here for six weeks already. They will both be turning 70 in April about three weeks apart, so thought a wee NZ celebration would be a nice way to kick off it all. We baked the most amazing chocolate cake. Not really. The Chocolate Cake Company has to get the credit for this one. Had plenty of willing helpers to blow out the candle. Gifted some gourmet chocs from our favourite chocolatier Bohemein. 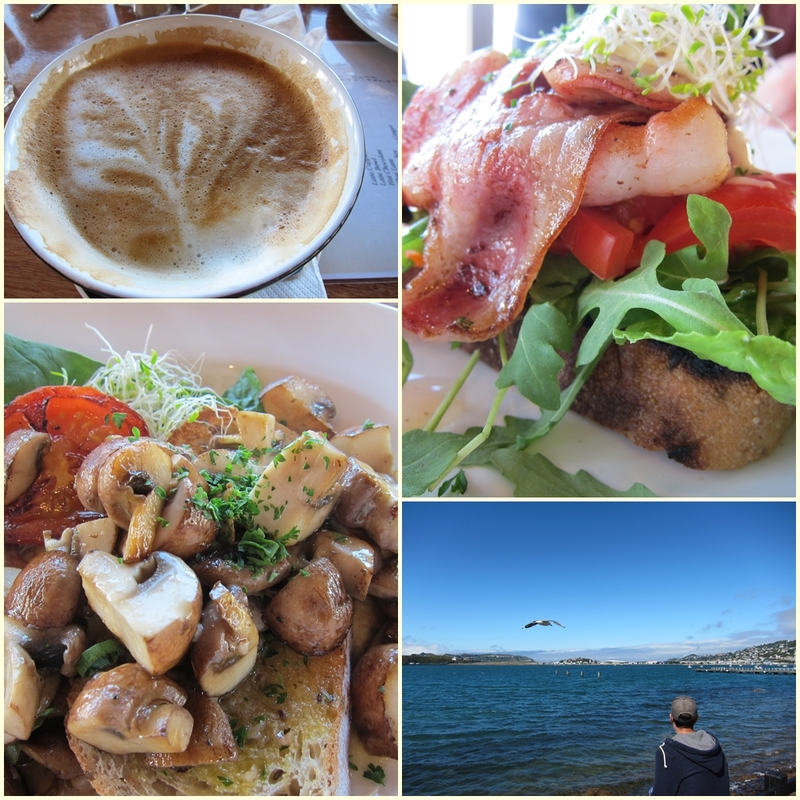 Took Grandma and Grandad out for brunch trying out a new cafe (Greta Point). Great quick service and yummy, fresh food. To finish, we stood together breathing in the brisk, salty Wellington sea air. And for just a moment time stood still. We so wish we could be with you for the actual day and we hope that your English celebrations go well dear parents. What a great milestone for you both! would you stop with all those pictures of that delicious food??? i drooled heavily all over the keyboard on my already touch-n-go laptop ...thanks!! mmmthat food DOES look delicious! winter is draggin on here and I long for the summer sun....any sun for that matter! What a great birthday. Love that cake...and chocolates. Great photos and the chocolate cake looks amazing. What a great visit they had!